Victorian light fixtures are the perfect way to add elegance and charm to any outdoor renovation. Whether it is a parking lot or a walkway, old-fashioned elegance is always an appropriate style. It is an increasingly popular choice for interior and exterior home décor. Municipalities and corporations have also started to incorporate vintage aspects into their renovation project requests. Contractors who want to remain competitive and continue to impress their clients should consider a decorative touch to remodeling jobs. Developers and contractors can find light fixtures with Victorian touches at Mel Northey. You can view their products online by visiting https://melnorthey.com or by calling 1-800-828-0302. They carry a number of different styles and designs, all made from durable materials. Mel Northey’s lights are available in various sources, including high-pressure sodium and LED. Contractors looking for a selection of decorative lights can start and end their search with Mel Northey. Knowing that a stylistic touch is needed is easy, but figuring out which particular style to choose is somewhat harder. There are many types of Victorian-inspired lighting fixtures on the market. Finding the perfect one for each job you work on requires a bit of extra work. However, asking yourself the following three questions can make the process much easier. Once you have found the perfect style for your project, visit Mel Northey to complete your purchase. Are There Victorian-Inspired Lighting Fixtures Nearby? When it comes to choosing Victorian-inspired lighting fixtures, take a look at nearby areas. You will want to be sure that the accessories you choose are not dramatically different from the preexisting ones. Too much visual competition can make an area distracting, unappealing, and potentially dangerous. If there are nearby fixtures, purchase ones in complimentary styles and shades. An exact match may not be possible or desired, but try to keep it as close as possible. Consider other visual aspects of the surrounding area as well. For example, are there park benches or mail posts that will remain after the renovation is complete? If you install posts, will there be large empty areas with no visual element at all? Consider obtaining a printed catalog and physically bring it to the renovation site. This will help you quickly determine if a style will look right without relying on memory or guesswork. Ideally, you will find a supplier that carries a wide selection of post styles and colors from which to choose. This variety will help you find the right design and shade for your project without compromising your overall vision. Do not settle for a style that will look “good enough.” Instead, shop around until you find the perfect one for this particular renovation job. Contractors and developers have been shopping at Mel Northey for this very reason for over three decades. They carry only the most attractive styles, guaranteeing that your project will look appealing for years to come. You can view their products by visiting https://melnorthey.com or by calling 1-800-828-0302. What Elements Will The Victorian-Inspired Lighting Fixtures Face? Durability is an important feature for any exterior Victorian-styled light fixture to possess. You need to be sure that your work will withstand the test of time. A huge part of that is ensuring it will hold up well against elemental and temperature changes. Figuring out what type of environmental challenges your fixture will face can help you find the most durable metal. For example, cast aluminum is virtually rustproof. This makes it perfect for areas that will receive a lot of rain or hail. Steel is extremely strong, making it suitable for areas that may see a lot of vandalism or damage attempts. The type of metal you choose may also play a role in the overall aesthetics of your project. Cast aluminum is available in more styles and color choices, and will look nicer with minimal maintenance. Cast aluminum is easier to paint, repaint, and touch up as well. While steel does have its advantages, cast aluminum might be a better choice for your current project. Regardless of which metal you choose, Mel Northey has the perfect Victorian-inspired lights for you. They carry high-quality posts made from both steel and cast aluminum, giving you choice. View their products online by visiting https://melnorthey.com. Contractors with questions about their posts and poles can call their toll-free line at 1-800-828-0302 to learn more. Are There Any By-Laws Governing Decorative Light Fixtures? Researching any governing by-laws or other applicable legislation is another important step. You need to be sure that the Victorian-style lighting posts you choose for the job will comply with all rules and regulations. Some contractors even investigate community guidelines, to ensure they do not accidentally violate night sky friendly policies. Remember to look at things like light sources and pole heights when researching these laws. Never trust your clients to have done this work for you. Unfortunately, many customers do not know where to find current and accurate information. Contractors can find lighting posts and sources that are compliant with local legislation by shopping at Mel Northey. They have a wide variety of options from which to choose. As a result, contractors can easily find products that will work well for their current renovation projects. 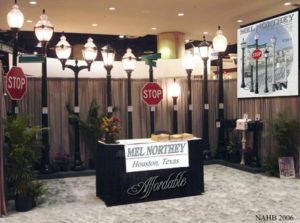 Visit Mel Northey online at https://melnorthey.com to see their options in pole style, height, and light source today. If you still have concerns or inquiries, you can contact them by calling 1-800-828-0302. Using light fixtures inspired by Victorian charm is a great way to add visual diversity and depth to any renovation project. However, they will only add an aesthetic appeal if they are selected well. Be sure to consider things like the surrounding area and the work required to keep the metal like new. Contractors and developers looking for exterior products can visit Mel Northey at https://melnorthey.com. They carry durable products and stand behind their work with a one-year warranty. You can be sure the post or pole you purchase will last, both aesthetically and physically. Mel Northey has been in business for over three decades, with many happy contractors, developers, and customers. 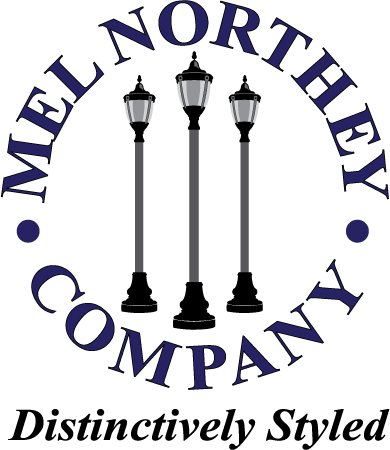 If you are looking for Victorian light fixtures for your next project, visit Mel Northey today.